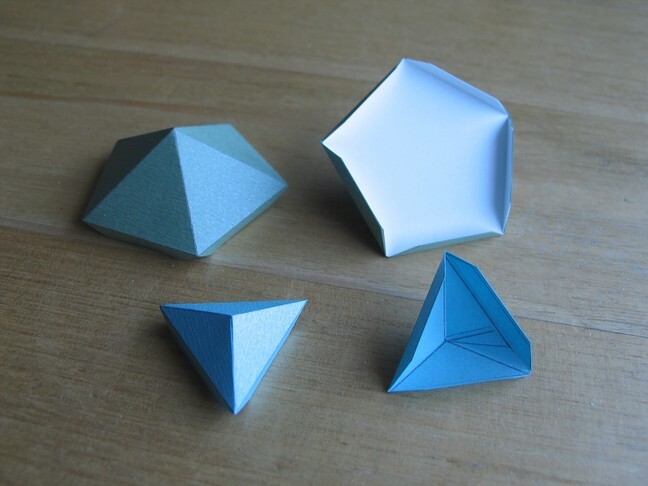 This is a compound of two Platonic solids, the icosahedron and its dual, the dodecahedron. It may be constructed using Great Stella in at least three different ways. As a stellation of the icosidodecahedron. 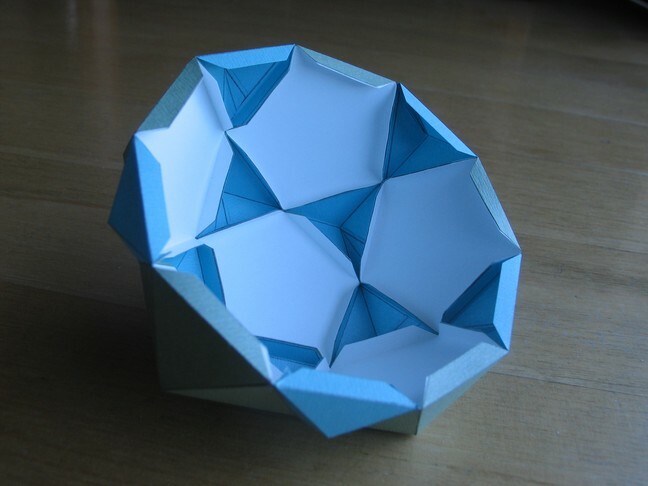 As a faceting of the rhombic triacontahedron. 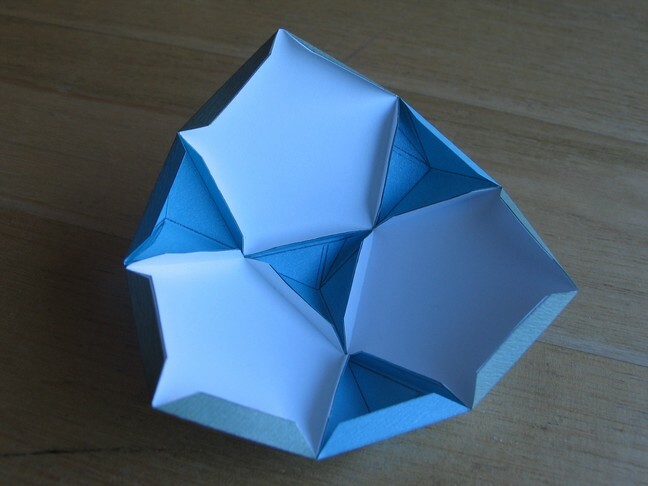 Or by adding either the icosahedron or the dodecahedron to its dual via the menu item "Poly→Add Base Model and Dual". Start with the individual peaks. I also printed out some pentagons to fit inside the base of each pentagonal peak (seen here in white). 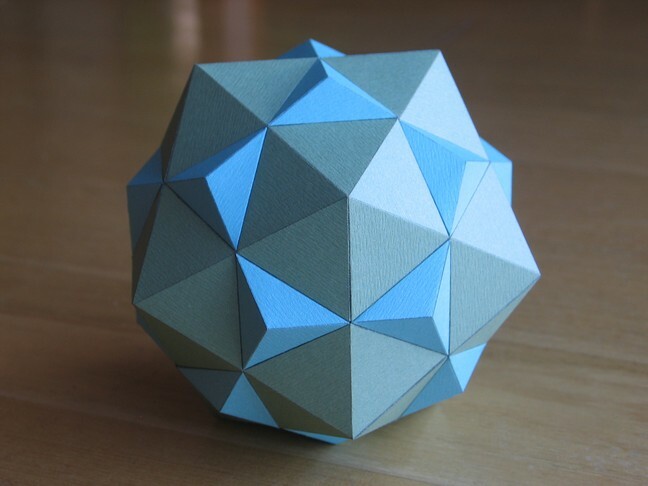 Attach the peaks to each other as you would faces of an icosidodecahedron.